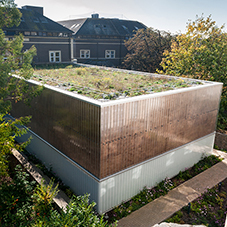 Alumasc achieved an outstanding result at the new school, which is architecturally unique with a complex roof geometry supporting a green roof construction. 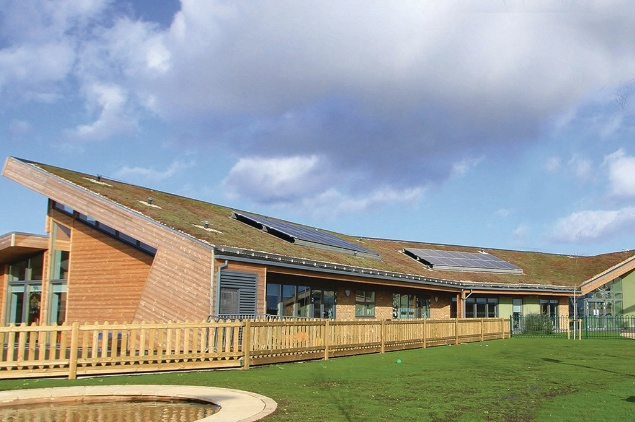 The roof was mono-pitched to most areas but also had a severe slope and pitches at three different angles. 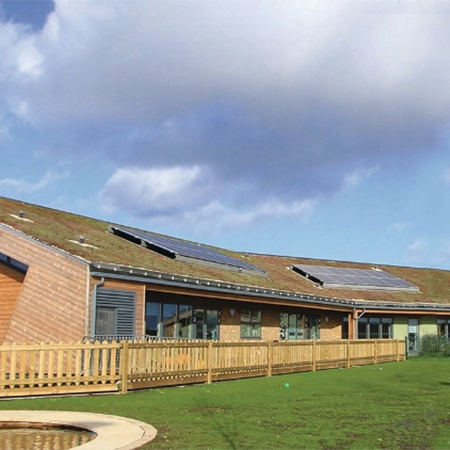 1200 sq m of a Euroroof Mastergold Anti-root warm roof system was installed with an Alumasc Sedum Extensive green roof. At St Michael’s there were numerous tricky interfaces, including PV panels, service risers and cable arrest details. 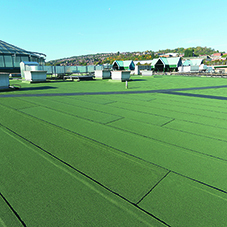 Designing a system that could not only be installed around these features, but that would also perform and allow for future maintenance, was a challenge that Alumasc met head-on. Euroroof Mastergold transforms working with traditional bituminous membranes, speeding up installation time without compromising long-term performance. 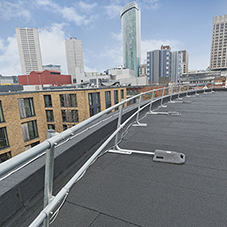 Euroroof Mastergold is a fully warranted system that offers high tensile strength and pliability and excellent resistance to puncture and UV degradation. The Mastergold membrane is available with a black mineral finish and can be used with a range of insulations to suit specification and U-value parameters.